Banksy’s “Kissing Coppers” first appeared on a pub wall in Brighton, UK in 2004. The work was aimed directly at the police and to homophobes. The location of this work was undoubtedly deliberate given that Brighton was well-known for its large gay population. The work was removed in February 2014. The hotel owner sold the piece to a private buyer in Miami for a handsome sum. 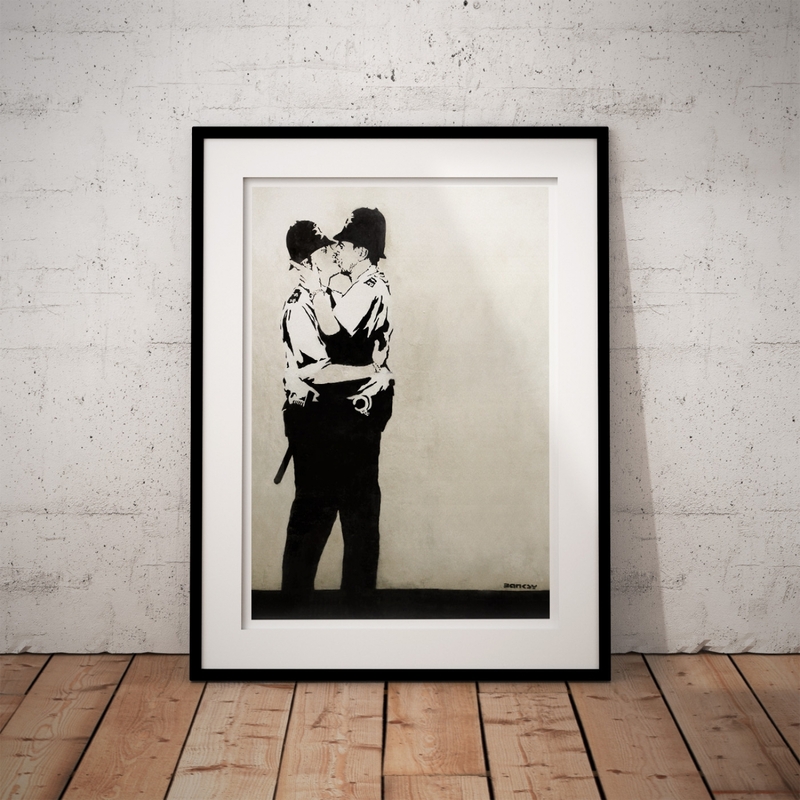 The "Banksy, Kissing Coppers" poster was created from an original photograph.